I recently caught 2014's Obvious Child for the first time and really enjoyed it. 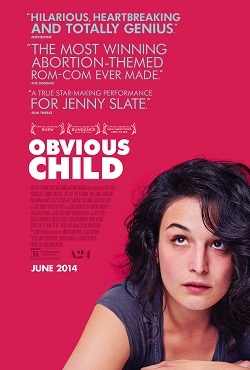 The film follows Jenny Slate's Donna as she deals with an unplanned pregnancy after a drunken romp with Jake Lacy's Max (you may recognize Jake from later seasons of The Office). The two turned in excellent, true-to-life performances, and Slate was particularly strong. I've always loved everything she's done comedy-wise (Kroll Show, Parks and Recreation, Marcel the Shell with Shoes On) and it was nice to see her do something with a serious aspect. Weird side note - I'd heard recently she was dating Chris "Captain America" Evans (another reason to love her) and stumbled across the (slightly out of date) news that she might actually be pregnant with his child. Leading up to this week's scene, Donna - a stand-up comedian - meets Max at a bar, they get really drunk, Max farts in her face while they're both peeing in an alley, and it all culminates in fun, drunken shenanigans set to Paul Simon's "Obvious Child" (what else?). Enjoy! Bonus! Enjoy the not-what-I-was-expecting-but-pretty-awesome video for Simon's "Obvious Child" below. What's your favorite Jenny Slate scene? Would you have Captain America's baby? 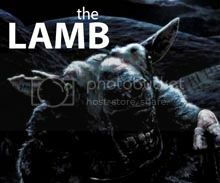 Loved this movie. One of my favorites of 2014. Great movie, thanks for dropping in! This scene was so cute. Like movie-cute, but still so adorable. I really like Jake Lacy.. hoping he gets to do more! I'm excited to see what Slate and Gillian Robespierre are working together on now. Also, I am so intrigued by Slate & Evans. I want to watch them hang out.